The Astros Championship Trophy Tour for the public began tonight in one of Houston’s hardest hit areas still recovering from Hurricane Harvey. 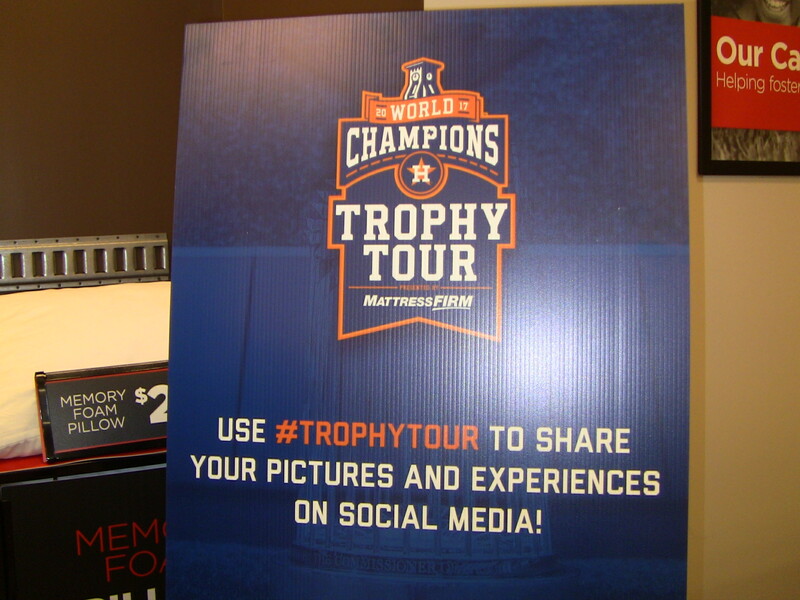 The trophy tour was officially launched earlier today by Houston Mayor Sylvester Turner and Astros officials. The historic World Series win by the Houston Astros over the Los Angeles Dodgers in 2017 help lift and inspire Houston after Hurricane Harvey. Tonight Houston’s Jenee Rivera and at least 150 sports and Astros fans came out to see and be part of that baseball championship season. Visitors were allowed to see, take pictures with the Commissioner’s Trophy, but not touch the trophy. 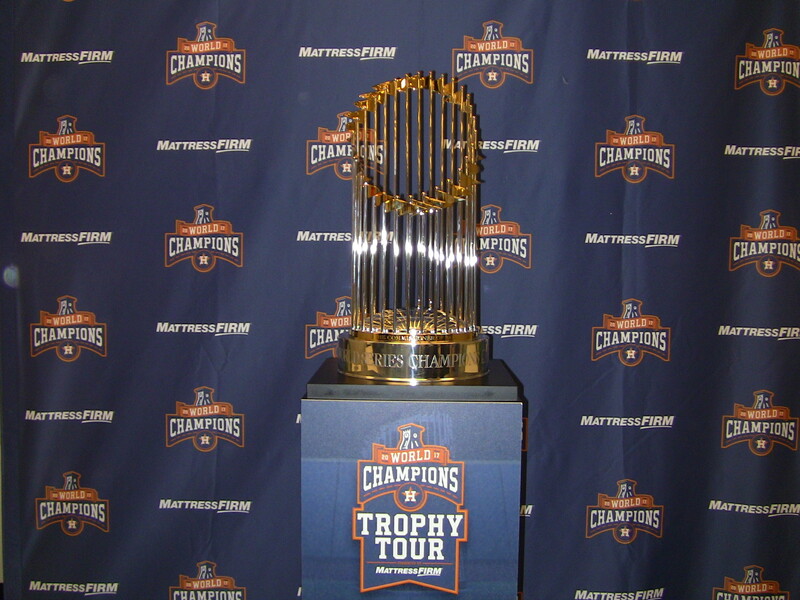 According to MLB.com, the trophy tour presented by Mattress Firm will make more than 100 stops in Texas and surrounding areas. This entry was posted in Celebrations, Community Events, Houston News, Sports, Things to Do and tagged Astros Championship Trophy Tour, Houston Astros, World Series Champion Trophy Tour. Bookmark the permalink.